Louis XIV ruled France for more than half a century and is typically remembered for his absolutism, his patronage of the arts and his lavish lifestyle – culminating in the building of Versailles. This original and lively biography focuses on Louis’s personal life while keeping the needs of the history student at the forefront, featuring analysis of Louis’s wider significance in history and the surrounding historiography. 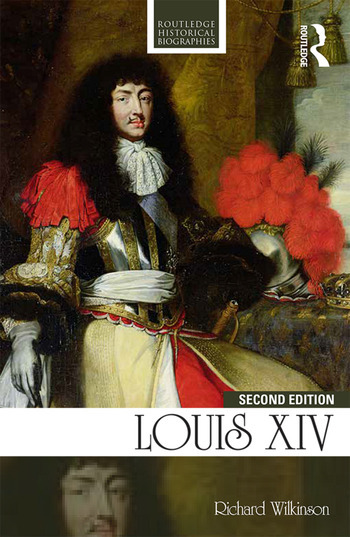 This book balances the undeniable cultural achievements of the reign against the realities of Louis’s egotism and argues that, when viewed critically, Louis’s rule (1643–1715) personified the disadvantages of absolute monarchy, and inexorably led to social and political blunders, resulting in the suffering of millions. Richard Wilkinson demonstrates that while Louis excelled as a self-publicist, he fell far short of being a great monarch. This second edition includes an up-to-date and accessible biography, further sections on the women at Louis’s court, France in an international context and new material looking at Louis’s involvement in ballet. This book is essential reading for all history students and those with a general interest in one of history’s most colourful rulers. Richard Wilkinson studied at Cambridge and gained his doctorate at Hull. He was headmaster of Scarborough College and King Edward’s School, Witley. Now retired, he teaches history at Marlborough College summer school. His previous publications include France and Europe 1661–1715 (2002) and Years of Turmoil (1999).